Jared’s opportunities to share his faith through his illusions increased while he attended college; and presently, he is traveling full-time performing over 120 shows a year. The illusions that Jared performs don’t just entertain and capture the attention of audiences, but are great tools to illustrate the message of the Gospel as well. With his ability to captivate the attention of the audience quickly through humor and exciting illusions, Jared appeals to all ages, denominations, and types of people that attend his shows. Youth Conferences – Churchwide Events – Camps – Upward Award Nights – Public School Assemblies and More! Jared Hall has the gift of mixing humor, fantastic illusions, and Biblical truth in a way that captures an audience of any age. I’m typically very resistant to bringing in special guests, but each time I have worked with Jared he has been fantastic! He is equal parts comedian & illusionist, & my students love him. There’s nothing better than doing what you love and seeing lives impacted at the same time. Each day I am thankful for the platform God has given me to share my story and what he has done in my life. Jared uses illusions and comedy to present the gospel of Jesus Christ in relevant, engaging ways. Traveling extensively across the nation, Jared performs his illusions for many conferences, festivals, outreach events, youth camps, and Upward award nights. He has shared the stage with many artists including Chris Tomlin, Louie Giglio, John Maxwell, David Nasser, Kristian Stanfill, David Crowder, Third Day, Switchfoot, Newsboys, Jon Acuff, Jamie Grace, Toby Mac, Lecrae and many more. The Award Night Show is designed for Upward Award Nights. Jared is blessed with the opportunity to be apart of Upward award night celebrations each year. Churches that partner with the Upward sports ministry usually bring in an entertainer like Jared for their end of the season award night. This program is usually open to all the players, coaches, and families that have been a part of the Upward season. For these award nights it is important to have an entertainer that can not only entertain the audience, but one who can also share the Gospel of Jesus Christ effectively. This is where Jared comes into play. For these ministry events, Jared has developed illusions and a message that is geared for this type of audience. 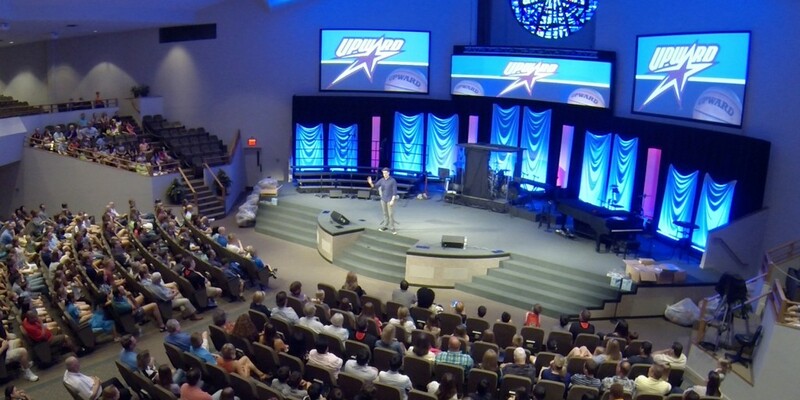 His message is in line with the mission of the Upward sports ministry. Through this 45 minute show, Jared’s desire is to take full advantage of the opportunity and share the hope that he has found in Jesus Christ to everyone who attends. There was a time in his life that doing illusions got Jared into detention. Now it gets him into schools and in front of thousands of students each year. 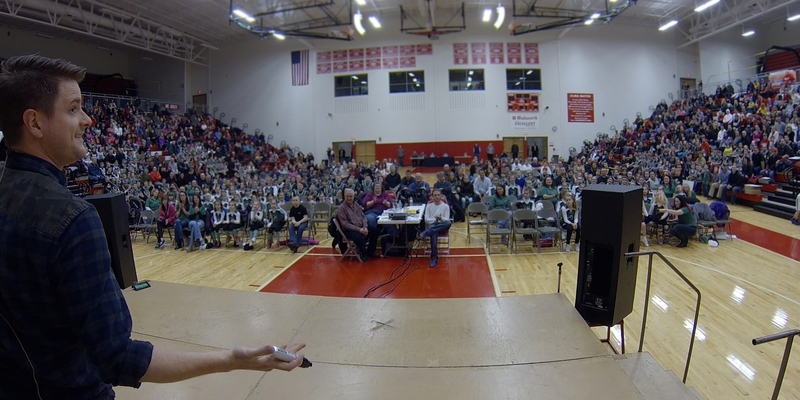 The purpose of Jared doing his show in schools is to both engage and encourage students. He uses illusion, comedy, and stunts to capture the attention of the students. Jared then is able to deliver a message that is engaging, empacting and empowering. Giving them the knowledge they need to make a difference with their lives. Jared understands that the youth of today are under a lot of pressure and are overwhelmed with things that simply were not around 10 years ago. Drugs and alcohol abuse are running rampant among youth people with devastating repercussions. Suicide, violence and sexual immorality are taking thousands of lives everyday in this country. The youth of today are our future, and Jared believes that we must respond to them with compassion and with life applications that they can relate to. Illusionist Jared Hall’s school show is a 30-minute secular program that has been presented to over fifty thousand students nationwide. Administrators and principals alike have praised Jared’s program as one of the most entertaining and most effective school assemblies that they have seen. Over the last twelve years, companies from all over the US have trusted Jared with the task of entertaining and communicating to their employees. Jared has the ability to customize his material and program to fit your needs. He has performed for training seminars, company gatherings, motivational sessions and much more. Battery, Hard Rock Live, Universal Studios Florida, Six Flags, Charles Schwab, Chickfila, The Salvation Army, Cedar Point Theme Park and many more are just a few of the companies who have trusted Jared to produce a quality program for their event. Contact us today and let us know how Jared can take your business to the next level. I have served along side Jared in ministry for almost a decade. If you are looking for the best… look no further than Jared Hall.